Should you be seeking out a range of different Forex Brokers or Platforms is the hope you can then compile your own personal shortlist of Brokers to checkout further with the aim of finding one or even more than one that will be worth signing up to and trading at then the following guide will be of great use to you. The first thing that you will need to be aware of as you are hunting around for a top rated Forex Broker or Platforms at which to sign up to is that your home country of residence is often going to determine just how many Brokers will be available to you. Not all Forex Brokers offer their services to traders in every single country of the world, and if is important that you make sure any Broker you do sign up to is fully licensed and regulated by a licensing authority which covers your country of residence. Also you will be hoping to make sustained profits from all of your Forex trades or at the very least as many of those trades as you can, and you will not want those money market movements to have a negative affect of the real value of your trading budgets. With that in mind we strongly you suggest that you not only sign up to and trade at Forex Brokers that are licensed and regulated in your home country of residence but also one that will allow you to deposit, place your trades and also withdraw your winnings in your own home currency too, as you will not want to be forced to have to change your trading budget into another currency and back again when making a deposit and then a withdrawal at any Forex Broker. 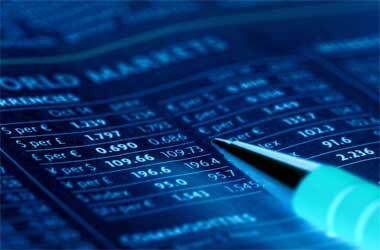 will help you understand what to look out for when you are researching each Forex Broker. One of the reasons why a lot of people in the UK regularly place Forex related trades online or even via their mobile devices is that residents of Great Britain have no restrictions in place in regards to where they can place those types of trades. However as a UK based Forex trader you should be looking or Forex Brokers that have shown a commitment to giving you an unsurpassed and first rate trading experience and have also registered and become regulated by the UK Financial Conduct Authority (FCA). When you are about to join up to such a Forex Broker always make sure that you are able to make your deposits, trade and then withdraw your profits using GBP. One thing to keep in mind is that there are not too many Forex Brokers that are going to offer their services to Forex traders who are based in the US, and as such it may take you a little while to find a range of US Forex Brokers to compare and research that do offer their services to any trader in any US State. When you are seeking out such a Broker then you should be looking to sign up to only those brokers licensed and regulated by either the National Futures Association (NFA) or the Commodity Futures Trading Commission (CFTC). By doing so you will have the peace of mind in knowing you will have those regulatory bodies to fall back on in the unlikely event you experience any problems trading at any of their licensed Brokers. Also do of course look out for Brokers allowing you to fund your account and withdrawal your gains in USD. There are plenty of Forex Brokers that offer their services to residents of Australia, and as part of your research into just which Brokers you should be signing up to please do ensure those brokers permit you to make deposits, trade and then will also let you withdraw funds from your trading account in AUD. You will find some Forex Brokers have made a concerted effort to get licensed in Australia and as such be on the looking out for those Brokers that currently hold a trading license and are regulated by the Australian Securities and Investments Commission (ASIC). You will find all baking institutions for example are licensed and regulated in Canada and the licensing body who overseas those operations is the Investment Industry Regulatory Organisation of Canada (IIROC), however that licensing authority does not overseas the licensing and regulation of Forex Brokers. So if you are looking to deposit using CAD and also place your trades and get paid your winnings in Canadian Dollars then we would suggest you sign up to one of our featured sites as you are going to find at each of them are run and operated to the very highest of industry standards. You will find plenty of different Forex Brokers will be available to you if you are currently living in any European country, and with there being so many of them to pick and chose from that will also allow you to deposit, trade and withdraw funds from your account in Euros you will need to spend me time looking through what each of them have to offer. To make that as easy as possible please take a good look through our collection of European trader friendly Forex Brokers as each of them have something unique to offer you. For reference some of the individual European member State licensing authorities include CONSOB (Italy), FCA (UK), BaFIN (Germany), CNMV (Spain), AFM (Netherlands), FI (Sweden), ACP (France), and CySEC (Cyprus). Make sure that the Forex Brokers you sign up to are licensed in your home country of residence, offer you the ability to make deposits in your own home currency and will offer you a very wide range of currency pairings. Plus you will also want around the clock customer support and access to generous promotional offers, which we are happy to report all of our featured Forex Brokers have on offer!